Cows’ milk allergy is an allergic condition that manifests itself in children. The allergy means that they have a reaction to the cow’s milk proteins. It is commonly confused with another milk related allergy, Lactose intolerance. 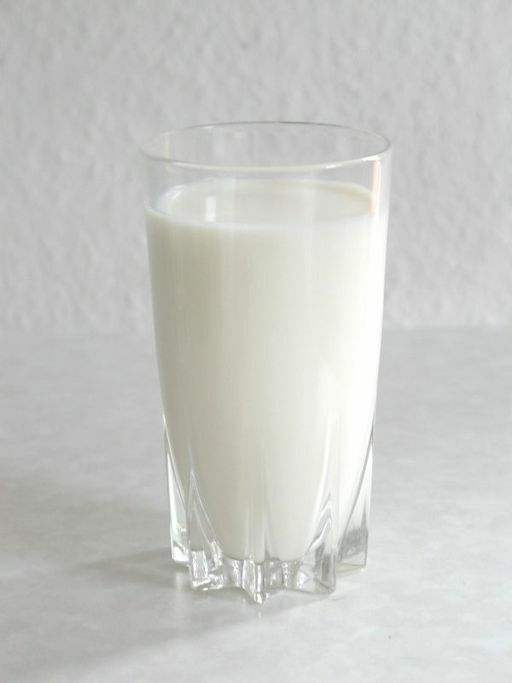 Lactose intolerance is a condition in which the body cannot digest lactose which is a sugar found in cows’ milk. Whilst there are a few similar symptoms between the allergies, they are very different conditions. There are a few symptoms that appear in cows’ milk allergy, which on their own can be innocent, but when they appear together it can indicate that the child is in fact allergic to cows’ milk proteins. Some reactions are instant and could prove dangerous if not treated immediately, where others may develop over a longer time and may appear less dangerous, but are still traumatic for tots and parents alike. In comparison to the other symptoms here, these tend to be the ‘instant’ or faster reactions and so they make diagnosing the condition easier. Itchy rashes may appear on the face or skin on the body. There might also be swelling of the eyes, lips or tongue, accompanied by coughing, wheezing or difficulty breathing. If a child ever suffers problems with breathing, an ambulance should be called immediately. Posseting after feeds is a regular occurance in infants due to the valve on their stomach being immature and slightly weak, however regularly reflux vomiting of larger amounts can indicate that the child’s body has reacted to something it has ingested (usually breast milk or formula milk at this stage). Eczema is, again, a common condition in young ones and can appear all on its own. It usually presents as dry, itchy, red or inflamed skin, which may become wet and weep due to itching. Some children may have it without the allergy and it is possible their cases will become worse, whereas some children may develop it because of their allergy. Among the delayed symptoms are diarrhoea and constipation. There may be long periods of one or the other, or they may alternate more often, but stools can appear very sloppy and watery, or very hard and difficult for the child to pass. Sometimes, baby’s bottom may become red or sore and there may be a little blood in their stools. Due to the vomiting and diarrhoea that is common in babies with CMA, some children may struggle to gain weight or may even lose weight because they have difficulty keeping their nutrition in their bodies. Attending a regular weighing clinic (once every two to four weeks unless otherwise directed) should help healthcare professionals to notice if your baby or toddler isn’t gaining weight as he or she should be. It is usually recommended that a child should stay near enough in the same centile for their first year, perhaps going up or down by one level. If a child falls down the graph by two centiles or more, your healthcare professional may wish to investigate to ensure all is well. There are a number of other symptoms that can be triggered by an allergy to cow’s milk. Things like chronic sinus infections and ear infections could also be signs of CMA, whilst persistent runny noses should be something that you should keep an eye out for. Milk allergy can be present in both breastfed and bottle-fed babies, and there are different ways of managing the condition depending on the feeding method, but the most important thing is that cows’ milk allergy is very easy to manage and adapt to. If your child has any of these symptoms, consult with your healthcare professional to get advice on what the next steps may be.